Quick summary: Outdoor learning has a wide range of benefits, but can be tricky to navigate for teachers. This lesson is designed to support teachers to manage student expectations and behaviour when taking part in outdoor learning. Students will work collaboratively to build a shared understanding and create a set of guidelines for participating in outdoor learning activities. They begin by identifying the value of time in nature and discuss why taking lessons outside will benefit their learning and development. Students will create posters or factsheets detailing the final set of guidelines for safety outdoors. What are the risks and opportunities involved in participating in outdoor learning? 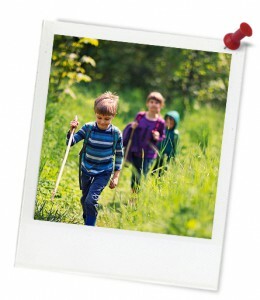 Why do we need guidelines when participating in outdoor learning activities? How can I help to develop strategies to enhance my own learning? Level of teacher scaffolding: Medium – oversee lesson and facilitate discussion. Resources required: Student Worksheet – one copy per student OR computers/tablets to access the online worksheet. Device capable of presenting a website to the class. A4 paper, strips of paper, pens or pencils, poster making materials. 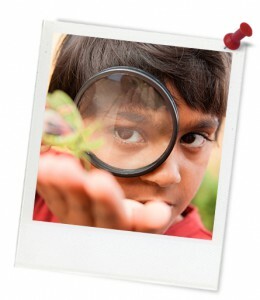 Keywords: outdoor learning, guidelines, nature. Overarching learning goal: Students will recognise the risks and opportunities involved in outdoor learning, and develop strategies to manage risks and realise opportunities. They will understand that there need to be guidelines to guide both students and teachers in outdoor learning activities, and that they have the ability to develop strategies to enhance their own learning. To help guide you through suggested activities in this unit, we have developed a series of icons designed to show what types of activities are involved and where these activities may take place (see Learning Activity Key below). Why should we be spending more time outdoors? Why do we need Outdoor Learning Guidelines for lessons taken outside?